HTC 10 review: Is it a perfect 10? Going for a perfect 10? 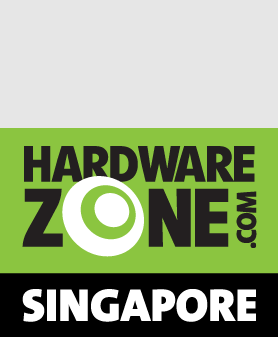 The HTC 10 certainly took its time to come to Singapore, going on sale here nearly three months after its official announcement in April. That said, when we received the phone, it's clear to us that the HTC 10 is HTC’s best attempt at a smartphone yet, keeping the positive bits from its earlier flagships (e.g. the lovely metal construction from the One M9) while further refining areas that it didn't do quite well previously. 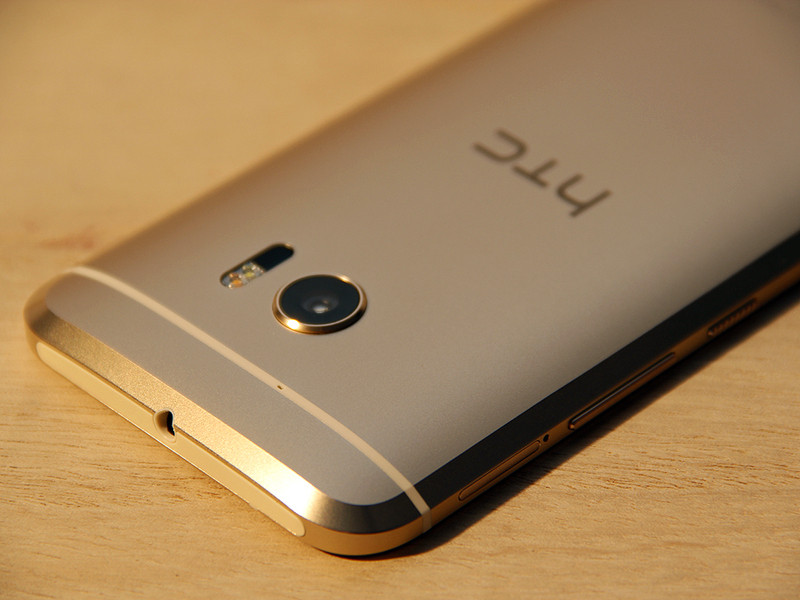 The HTC 10 uses a signature metal uni-body design that has been a highlight of their One series. What's changed this time is that the phone features a beautifully curved rear flanked with exaggerated chamfered edges. As such, it is distinctively different from the current flock of 2016 flagship rivals. 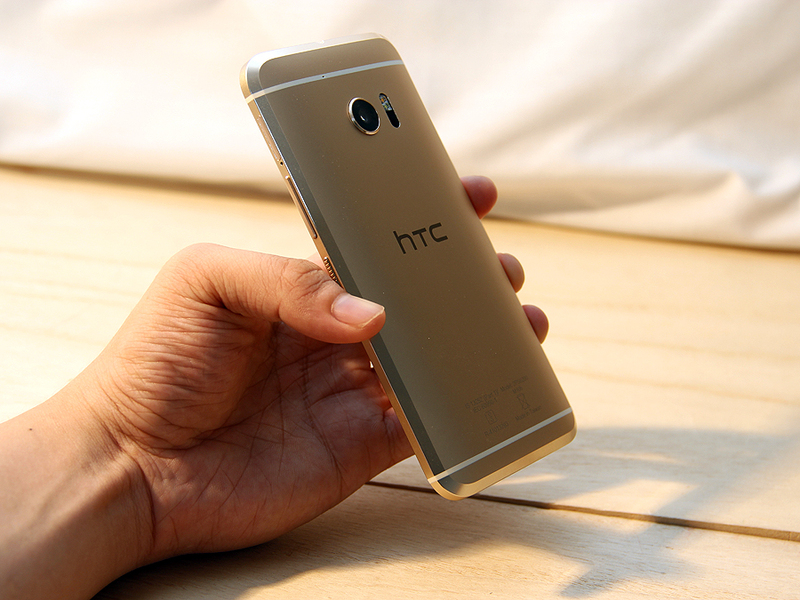 The chamfered design makes the HTC 10 nice to hold, and it has a comfortable size for single-handed operation. While it is 9mm at its thickest point, the phone does not feel bulky at all. Our only gripe with the design is how a curved rear and a slightly elevated rim for the rear camera make it impossible for the phone to lay flat on a table, but this design quirk also makes it easy to pick it off a desk. The HTC 10 certainly has a more matured look than its predecessor, with its clean rear accentuated by the antenna lines that cuts across the top and bottom rungs of the device. The front panel is nowhere as attractive as its back, but its display with thin bezels still makes it pleasant to look at. We lamented the loss of the front-facing speakers as it also gave the HTC flagships a unique look. 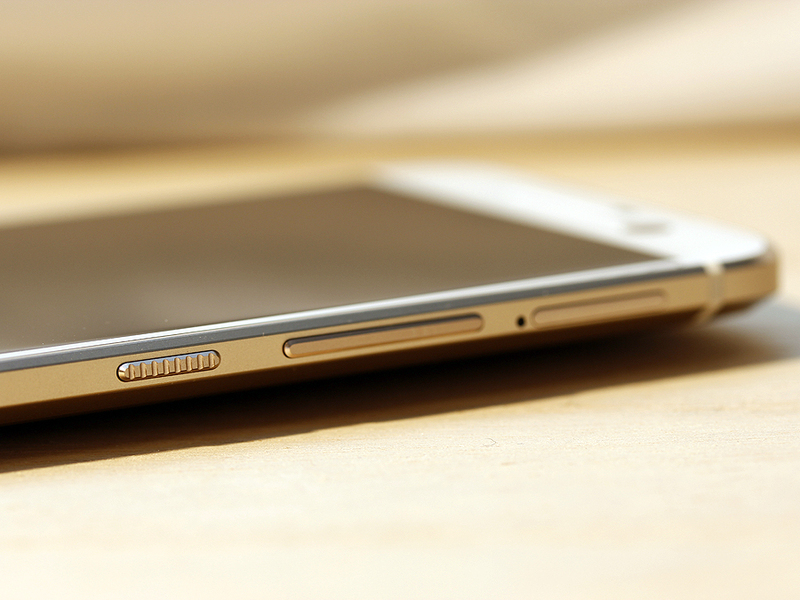 In its place are a touch-operated Home button at the bottom, and an oversized window for its front camera at the top. It’s a pretty phone, but it isn’t aesthetic perfection. 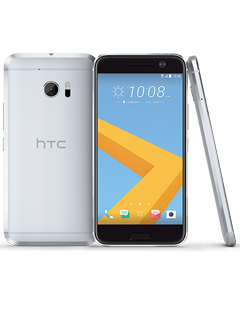 The HTC 10 uses a 5.2-inch Super LCD 5 display rated at Quad HD resolution (2,560 x 1,440 pixels). 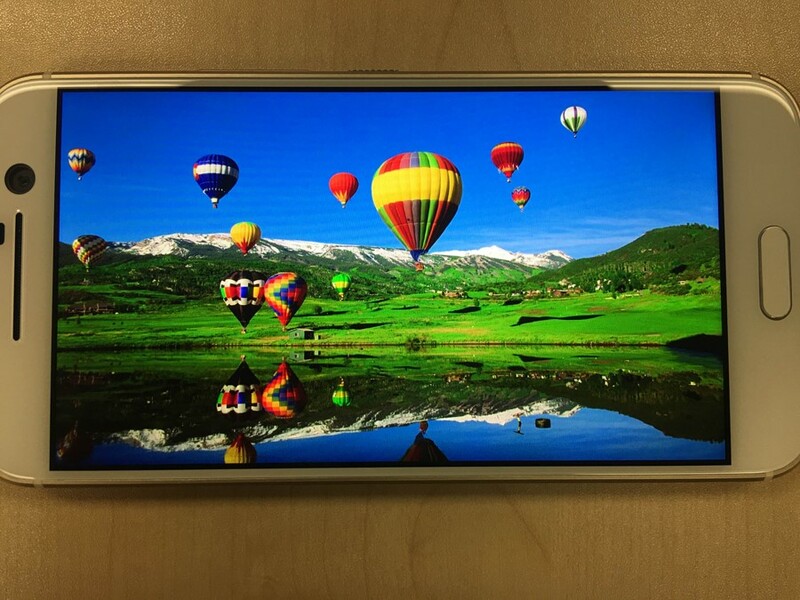 The end result is a phone with a sharp display at ~565 ppi (pixels per inch) pixel density - a significant upgrade from the HTC One M9’s Full HD (1,920 x 1,080 pixels) display panel. The maximum brightness of the HTC 10 leaves a little more to be desired though - it’s certainly not as bright as the Xperia X.
HTC flagship phones are also known for their BoomSound audio technology, and the HTC 10 is no different. Yes, the iconic front stereo speakers are gone, but users get something new called the HTC BoomSound Hi-Fi Edition. 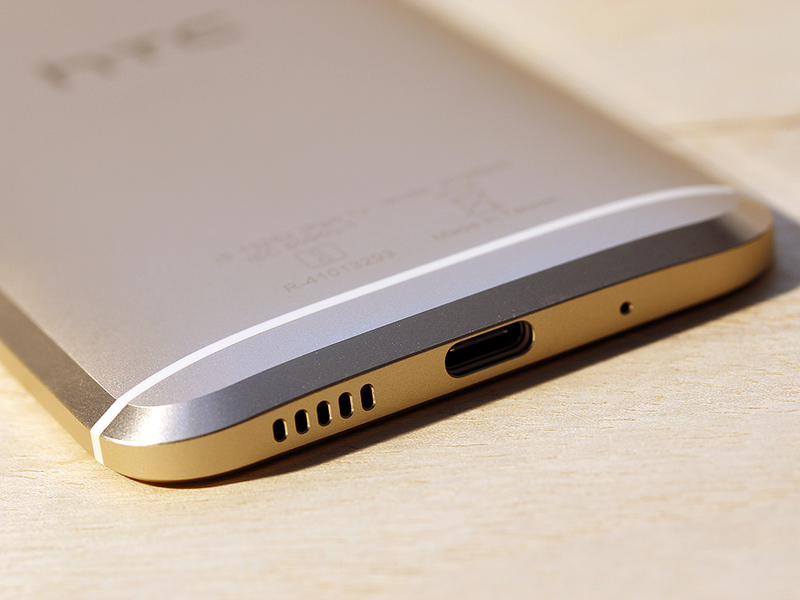 In a nutshell, HTC has changed the 10's speaker placement, moving one of the front-facing speakers to the bottom of the phone, next to its USB Type-C port (the ear speaker remains). Enhanced by a separate tweeter and woofer design, and dedicated amplifiers for each speaker, we found audio to be loud and clear. Beyond this little branding and speaker relocation exercise, audiophiles will be happy to know that the HTC 10 is one of the few phones to officially support Hi-Res audio (the other notable brand being Sony); and it boasts 16 to 24-bit audio upscaling, as well as a quality 24-bit DAC and a powerful headphone amp. And depending on where you get your HTC 10 from, you may even find a pair of Hi-Res audio-certified earbuds as one of the inbox accessories. 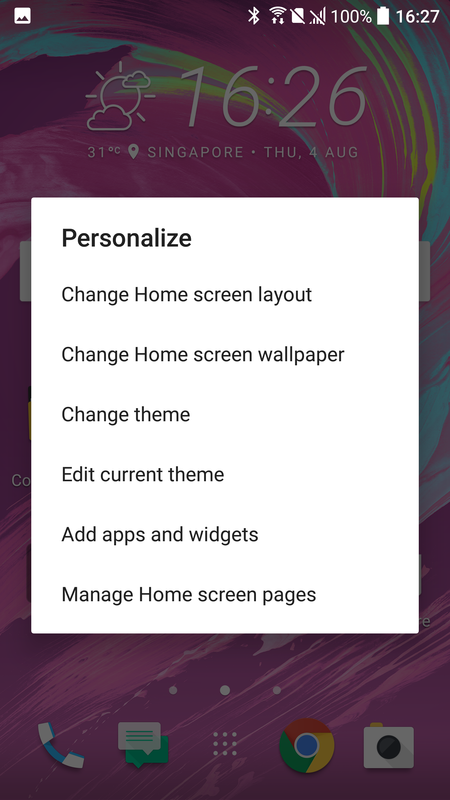 HTC 10 takes the stock Android 6.0 OS even further by allowing their users to bend the rules for app layout. By holding your finger on the Home screen, you can now download unique Freestyle-type themes that place your apps, app drawer, and icons under a bunch of themed “stickers”, without the need to follow the usual on-screen grid. 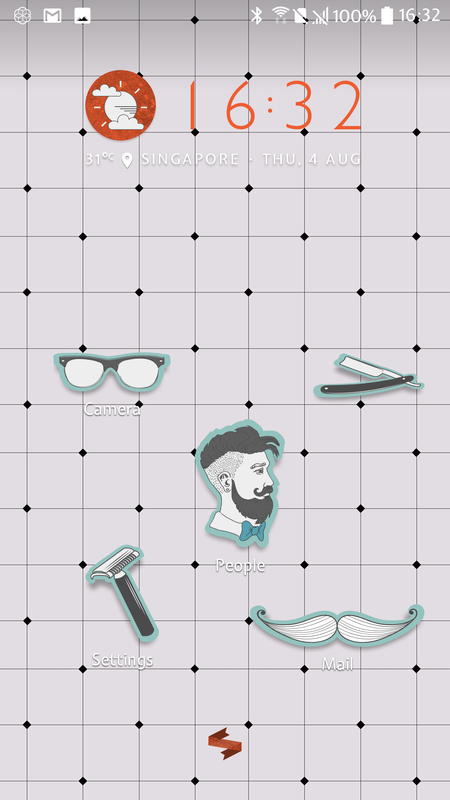 These stickers basically give your apps a little visual personalization, but they still bring you to your intended app. 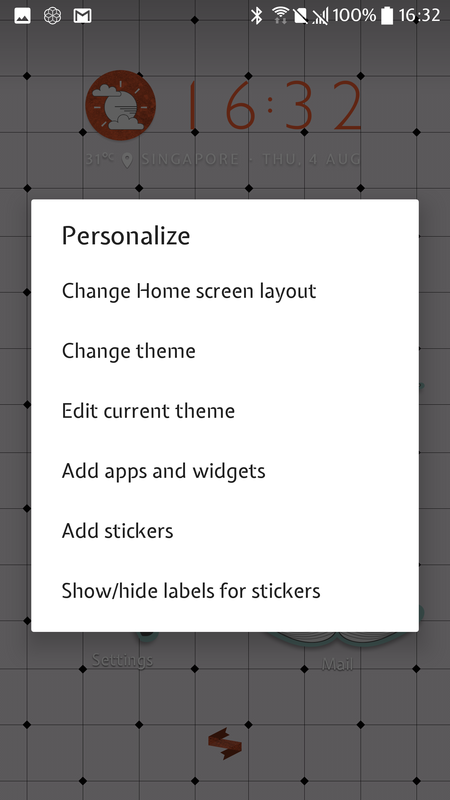 You can add more stickers/shortcuts, and rearrange your home screen and stickers to your taste. 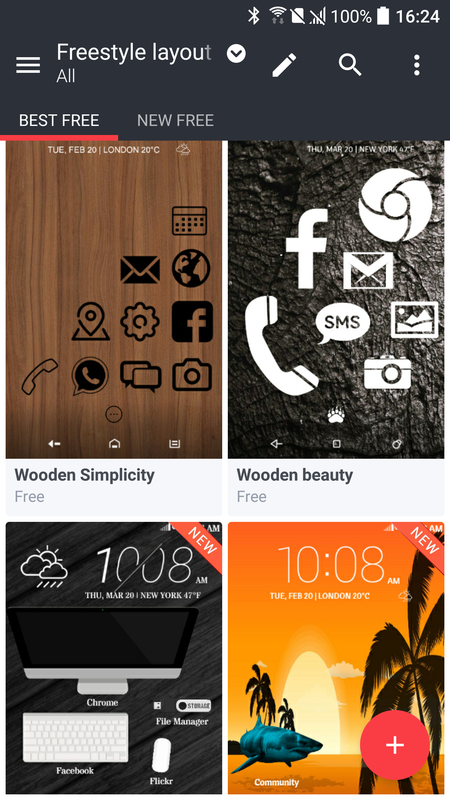 Expectedly, the phone still supports HTC Themes, and there are thousands of themes to choose from. 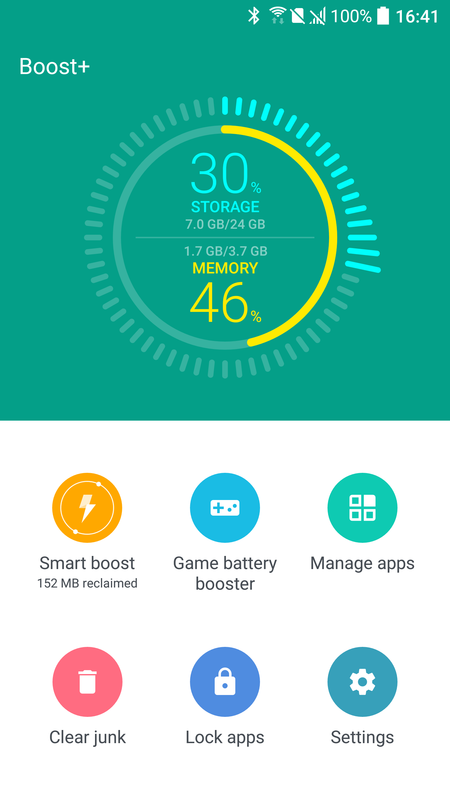 Boost+ is a general phone management feature. 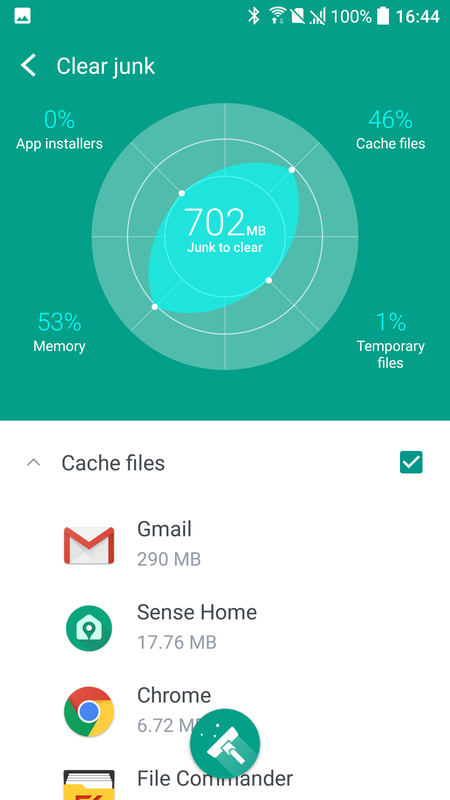 It offers the ability to lock certain apps with the help of a pattern or fingerprint lock, delete junk caches, and disable apps at a tap to free up some RAM. However, like most process-killing management apps, you aren’t going to get much out of killing a core service or app that’s always running in the background. That said, the cumulative tweaks on Boost+ make it a decent addition, saving most people the need to download separate cleaning apps.